Kundan Shah's memorable works include Jaane Bhi Do Yaaro, Nukkad, Wagle Ki Duniya, etc. 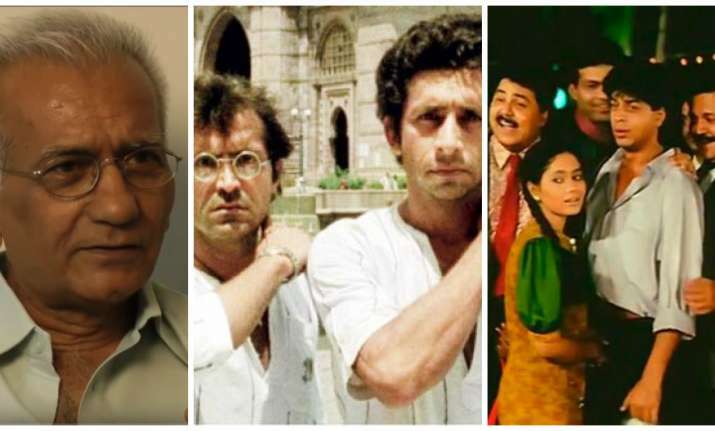 Kundan Shah developed interest in comedy genre while studying films. Jaan Bhi Do Yaaro: The 1983 cult classic was a satirical comedy that took a dig at rampant corruption in politics, bureaucracy and media. The topic which holds significance till date has immortalised Shah. The timeless movie starred Naseeruddin Shah, Ravi Baswani, Om Puri, Pankaj Kapur, Satish Shah, Neena Gupta, Satish Kaushik and Bhakti Barve. Shah won Indira Gandhi Award for Best First Film of a Director and Ravi Baswani won Filmfare Best Comedian Award for the movie. Nukkad: Nukkad aired between 1986-87 on Doordarshan and earned rave response from viewers. Starring Dilip Dhawan, Rama Vij, Pavan Malhotra, Sangeeta Naik and Avtar Gill, the characters of this comedy serial became household names. The episodes revolved around the issues of lower income class people. Wagle Ki Duniya: The sitcom directed by Kundan Shah aired between 1988 to 1990 on Doordarshan and was based on creation of cartoonist R.K. Laxman. Starring Anjan Srivastav and Bharati Achrekar, the serial was based on everyday struggle of a middle-class man. Shah Rukh Khan made guest appearance in the serial before his big debut with Fauji (1988). Kabhi Haan Kabhi Naa: At time when male lead of the movie were all required to do was thrash goons and romance actress, this directorial venture of Kundan Shah portrayed the hero as loser. This was Shah Rukh Khan's one of the early films which strengthened his base in the industry. Starring Suchitra Krishnamurthy, Deepak Tijori and King Khan, the movie completes 23 years in 2017. Kya Kehna: The movie which was based on pre-marital pregnancy and society's views was one of the highest grossing Bollywood films of 2000. It starred Preity Zinta, Saif Ali Khan, Chandrachur Singh, Anupam Kher and Farida Jalal. The movie won Best Story Award at 46th Filmfare Awards.